Now this is some interesting news. Jamie Foxx is "aggressively pursuing" the role of Al Simmons in a Spawn remake. 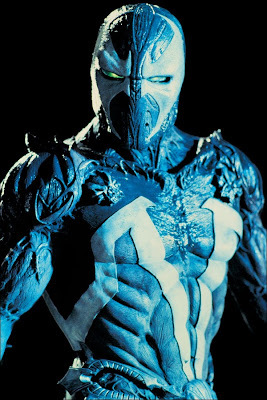 For those unaware, Spawn was a 1997 movie based on the ever-popular toy line and comic series from Todd McFarlane, starring Michael Jai White in the title role with John Leguizamo in probably one of the most underrated roles of all time as Clown/Violator. Now, can Foxx pull this off? Maybe. I'd like to see how he handles Electro in The Amazing Spider-Man 2 first. You? Another Rocky movie is in development...sort of. Actually, it's a spinoff titled Creed -- which will tell the story of Apollo Creed's grandson, to be played by rising star Michael B. Jordan (Chronicle, Fruitvale Station) and his desire to become a boxer. With no one to mentor him, he turns to the only man to ever take his grandfather "the distance", enter Rocky Balboa, who will once again be played by the ageless Sylvester Stallone. Here is the video for Zack Snyder's Batman vs. Superman SDCC announcement. The video also gives us a look at the logo for the film. 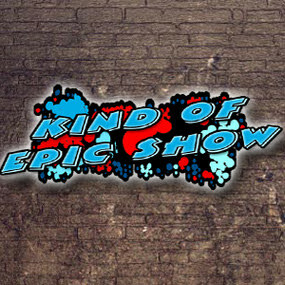 The image above is a fan rendition of that logo, nothing official. Batman vs. Superman arrives summer 2015. The role of the mother in the upcoming Poltergeist reboot has been cast; welcome Rosemarie DeWitt. Although Poltergeist is being billed as a remake/reboot, word from watering hole is that it's actually a sequel/reboot, meaning it, at the least, won't disregard the events of the original movie (along the lines of the new Evil Dead and Texas Chainsaw 3D). 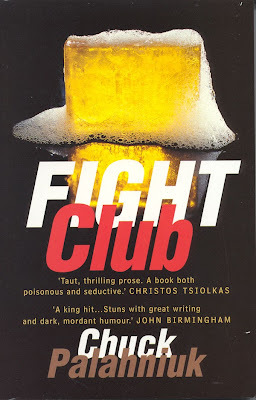 Chuck Palahniuk, the author of the novel Fight Club, is preparing to pen a sequel in graphic novel form. The story would pick up 10 years after the events of the first. About the graphic novel, it’s true. Chelsea Cain has been introducing me to artists and creators from Marvel, DC and Dark Horse, and they’re walking me through the process. It will likely be a series of books that update the story ten years after the seeming end of Tyler Durden. 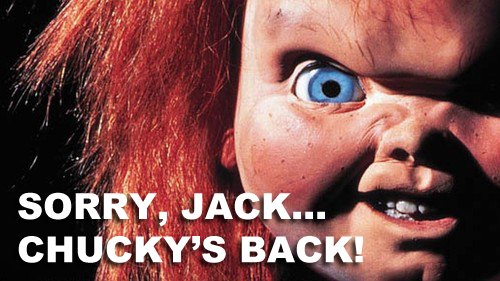 Nowadays, Tyler is telling the story, lurking inside Jack, and ready to launch a come-back. Jack is oblivious. Marla is bored. Their marriage has run aground on the rocky coastline of middle-aged suburban boredom. It’s only when their little boy disappears, kidnapped by Tyler, that Jack is dragged back into the world of Mayhem. A video sneak peek at the Veronica Mars movie was released at SDCC. If you are/were a fan of the show, then you'll probably dig this footage as well. Veronica Mars arrives summer 2014. The title logo for The Avegngers sequel, Avengers: Age of Ultron, has been released. Age of Ultron arrives summer 2015. 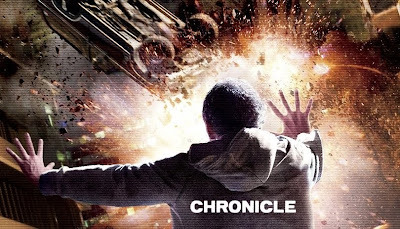 Fox may be movie forward with a Chronicle 2, but it'll be without original screenwriter Max Landis. Although Landis has turned in a draft for a sequel, the studio has opted to take a different route. New writers have been hired, but have yet to be announced. They hired new writers on it. I'm sure they'll announce soon. Just hope this answers the questions I've been getting everyday. Consider this the most official announcement you can get (and a press release, obviously). Producer Brad Fuller (of Platinum Dunes) has said that as soon as work on Teenage Mutant Ninja Turtles and Almanac is wrapped up, production on Friday the 13th Part 2 will kick into gear. 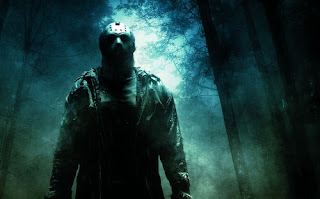 I hope Derek Mears returns as Jason Voorhees and it takes place in winter -- that is all. #Goliath #Candyman #Etrayu. We bring you a mix of old and new convention coverage from this years Days of the Dead Indianapolis and a special archived interview from C2E2 2012 in Chicago. Our guests this week are none other than Candyman, Klingon, and Decepticon: Tony Todd. Noah Hathaway the actor from The Never Ending Story, Troll, and Sushi Girl. The Tony and Emmy Award winning actor behind Goliath, The Arbiter, and Admiral Anderson: Keith David. A small caveat this may be our most explicit episode to date as interviews were on site at the convention, focused on horror, remarkably candid and off the cuff. Also be prepared for Gabes impression of the Childlike Empress, its not prettty but it is Kind of Epic! 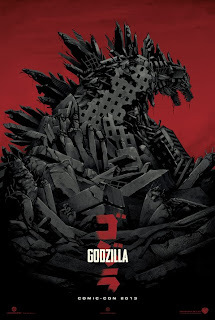 Just revealed at SDCC was this new poster for the Godzilla redo...which gives us a glimpse at the monster's scaly tail as well as just how big this creature is. Godzilla arrives May 16, 2014. The first bit of teaser footage for The Amazing Spider-Man 2 has been released and it gives us a glimpse of Jamie Foxx's Electro in action. 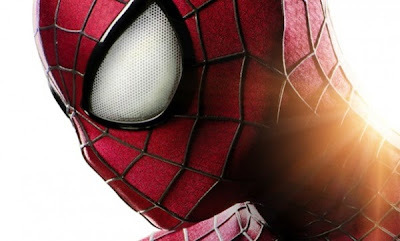 The Amazing Spider-Man 2 arrives May 2, 2014. Now this is a semi-shocker. Paramount is considering pushing the release date for Paranormal Activity 5 back to October 2014, essentially breaking the annual tradition. Imagine if the Saw franchise had done this...perhaps a better product? Along with this totally awesome new poster for Godzilla, director Gareth Edwards has released another video message via YouTube from the set, a Pre-SDCC message. 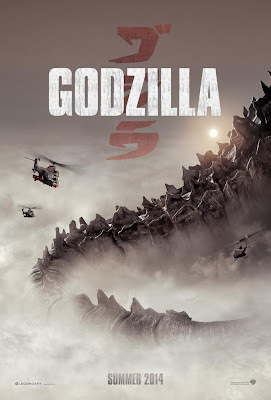 Godzilla will grace movie screen across America on May 16, 2014. So, tell me...how excited are you for this?! I'm already forgetting about that mess from 1999. 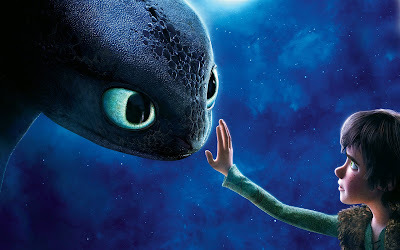 The teaser trailer for How to Train Your Dragon 2 has been released -- and surprisingly, it doesn't look half bad! 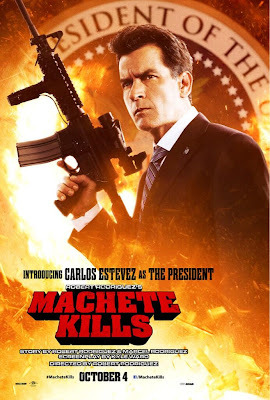 I'm really liking that Charlie Sheen will be credited as Carlos Estevez (his birth name) in the upcoming sequel Machete Kills. Sheen, or should I say Estevez, will be playing The President (if you couldn't tell by the poster. Machete Kills opens October 4, 2013. 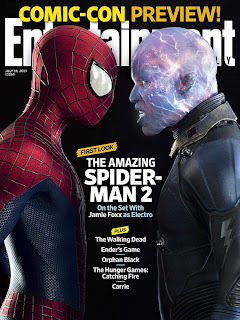 This week's cover of Entertainment Weekly will feature Spider-Man and Electro from The Amazing Spider-Man 2 in an intense face-off. This is actually the best in-costume look we've gotten at Jamie Foxx as Electro. I dig it -- just can't seem to find the same kind of love for that new Spidey suit. I completely dug his last get-up. But this, not so much. 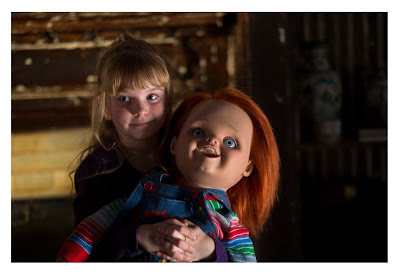 The trailer for the under-the-radar sequel Curse of Chucky has finally been released today! My first impression: this is a definite return to form for the franchise -- and that's not a bad thing. The American remake of Oldboy which is directed by Spike Lee, has just been given its first poster. The poster isn't anything special but it's apparently from a scene of the movie and the red band trailer which will be released Wednesday. Josh Brolin himself wrote the logo of the poster. It's also NOT a Spike Lee JOINT but a Spike Lee FILM. The film also stars Elizabeth Olsen and Sharlto Copley and the screenplay was written by Mark Protosevich (Thor, I Am Legend). The film is being produced by Roy Lee, Doug Davison and Nathan Kahane. James Cameron, as you already know, has directed some of the biggest films ever made like Avatar, The Terminator, The Abyss and True Lies but now he talks about a film that he's been wanting to make for what seems like forever now -- Battle Angel Alita. What's been keeping him from making his so-called passion project? Avatar 2 and Avatar 3 which could possibly start production later this year but he promises to make Battle AngelAlita eventually. Speaking in Mexico City to speak at the technology forum TagDF, Cameron spoke about various topics such as his thoughts on the 3D aspects of latest summer blockbusters Iron Man 3 and Man of Steel and helping out his longtime friend and fellow master filmmaker Alfonso Cuaron on Cuaron's space epic Gravity. But the real meat of the story is that Cameron plans on doing Battle Angel Alita in 2017 after he's done with the Avatar trilogy. You can see the video below of Cameron speaking at the forum below. Now this is a real third-act twist in the vein of a, well, M. Night Shyamalan movie, that is. In a recent interview regarding his latest movie, After Earth, the writer-director admits to ghost-writing a 1999 teen comedy: She's All That, starring Freddie Prinze Jr. and Rachael Leigh Cook. 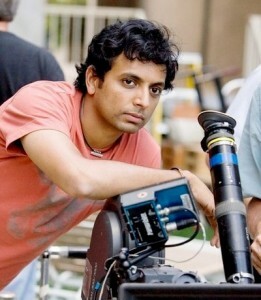 Shyamalan: I ghost-wrote the movie She's All That. [Laughs] Does this boost Shyamalan's credit a little bit? After all, his first few movies (The Sixth Sense, Unbreakable, Signs) were top notch. After that they sort of fluttered (Lady in the Water, The Happening). 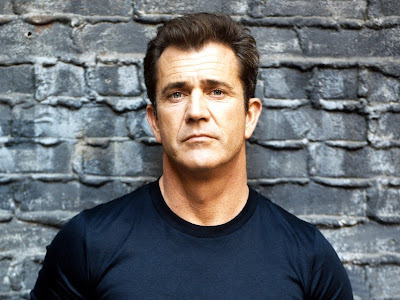 Steven Seagal Confirmed For 'Expendables 3', Mel Gibson Close? 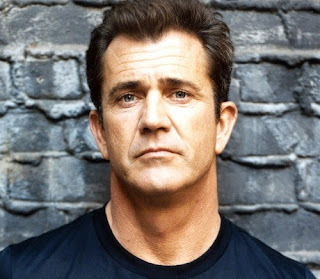 It is being reported that Steven Seagal has officially joined the cast of The Expendables 3 and Mel Gibson is super-close to closing a deal to join the action ensemble as the main villain. 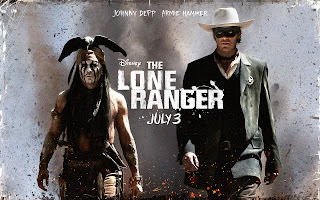 Director Gore Verbinski and actor Johnny Depp team up again for the big screen adaptation of the classic radio and TV series The Lone Ranger. 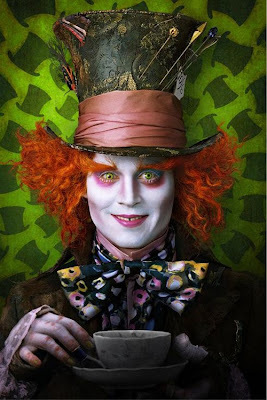 Johnny Depp plays Tonto, the so-called “Noble Savage” who tells the untold tales of John Reid, played by Armie Hammer of The Social Network, who would later become the masked man of justice The Lone Ranger. Leonardo DiCaprio may not have reached "Titanic" proportions with this strange and partially true tale, but “The Beach” did offer some unique perspective on what life in seclusion would be like. Toward the end of the film, we find out that the island paradise is really too good to be true, and things get creepy fast. 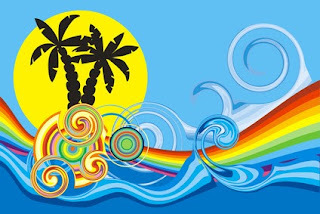 In a sequel, we would like to see what happened to the people on the beach after they try to reintegrate into society. Is 'Austin Powers 4' Still Happening? Last we heard anything new on a proposed Austin Powers 4 was way back in 2011, where Mike Myers, himself, decided it was time to return to the franchise. But where does this sequel stand now? It's been 2 years since we've heard anything. But according to IMDb (so reliable, right? ), the page for Austin Powers 4 was last updated on April 5, 2013. Does this mean there are still rumblings regarding AP4? Let's hope so. 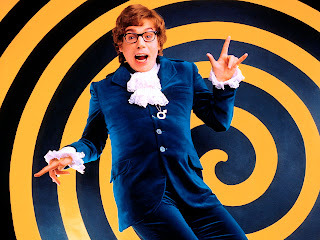 While some loved Austin Powers in Goldmember, I, myself, found it to be the weakest entry in the franchise by far (my absolute favorite being part 2, Austin Powers: The Spy Who Shagged Me). But as for a part 4, where should the series go? This is a question I keep asking myself. And honestly, maybe it doesn't need to go anywhere. Perhaps it would just be another unnecessary sequel. But on the other hand, despite The Love Guru, I have a lot of faith in Mike Myers -- so hopefully he can (and will) deliver us something worth while. 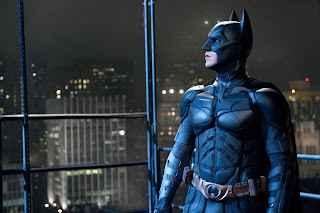 It has long been rumored and speculated that Christian Bale would not be back as the Caped Crusader, but Bale has given us the official, definitive, word. “It’s a torch that should be handed from one actor to another. So I enjoy looking forward to what somebody else will come up with.” The actor has stated that he would do another one if Christopher Nolan was involved, but Nolan has since commented that he has done what he set out to do. So any incarnation of Batman in a Justice League movie will be with a rebooted origin.